Lots to chew on from France! Bonjour from France as ShackHouse reviews Tiger’s 80th win, the world reaction to his comeback and then dives deep…deep into the 2018 Ryder Cup with some reflections on the venue, where the teams stand and a look at some fo the fun prop bets offered up. As always, you can listen wherever podcasts are streamed or via your ShackHouse free subscription. House and I are back after a three week playoff break to discuss the impressive wins of Bryson DeChambeau and Keegan Bradley, the solidification of Ryder Cup squads and to cover a range of topics with Golf Magazine/.com writer and podcaster Alan Shipnuck. Alan’s pods mentioned in the show can be found here. For those interested in the Links at Petco mentioned on the show, here is the link for more info. House and I convene to discuss Bellerive, the final major of 2018 and try to decipher who the course will favor. As always, your iTunes or other podcast host site subscriptions are appreciated. Or you can listen here below. House and I talk about the end of Firestone as a PGA Tour venue, its place in the game, Tiger's chances this week, a few more Open Championship stories, and the many Ryder Cup and PGA Championship ramifications on the line. It was a thriller at Carnoustie! Maybe not quite one that will be mentioned with Hogan in '53 and Van de Velde in '99, but the 2018 Open Championship was a good, solid test of skill with brilliant performances from a wide array of players. I hope the theater at home was as splendid as the in-person viewing. House and I discuss it all, plus a shocking fashion rant from my co-host! We break down all things Open Championship, including some picks for who will win, comparisons between this year and Hoylake in '06, my insights from Gullane and players to keep an eye on throughout the tournament. As always we're brought to you by Callaway, who have a couple of swell offerings mentioned in the show. There is the auction from Callaway Create for special Seamus-made headcovers benefitting the incredible work of Bunkers In Baghdad. And this Callaway Community member quiz with the winner getting the 3-wood Henrik just can't use because it goes...too far! This week we break down Tiger Woods and Phil Mickelson potentially facing off for $10 million (02:42) and preview the Scottish Open (22:27) before Atlanta Falcons quarterback Matt Ryan joins us to talk about his experience growing up with golf (41:32). As always we're brought to you by Callaway and this week our friends at Helix with a fantastic coupon code, so listen close! House is reserving the right to hear out player press conferences and to see how the course evolves. Given the huge leaps in firmness and speed since Saturday that I've seen, a wise call. Still, we recount (briefly!) our weekend golf, the Southampton scene and preview the 2018 U.S. Open from Shinnecock Hills. As always, thanks to our friends at Callaway, Ogio and Odyssey for the support and this week's 40% off code for a sweet Ogio laptop backpack! It was a fantastic Memorial Tournament, so House and I return to gear up for the U.S. Open with a recap and some discussion of this week's television situation. As always, we'd love for you to subscribe on iTunes or wherever you stream your pods. And you can listen here, all for free thanks to our friends at Callaway and The Ringer. Busy week in the ShackHouse: we wrap up Webb Simpson's impressive Players Championship win, Tiger's week at TPC Sawgrass, the Supreme Court's decision to let states regulate legal sports gambling and my first impressions of Trinity Forest, host to this week's AT&T Byron Nelson Classic. As always the show is brought to you by Callaway and The Ringer. You can listen via the embed below, wherever podcasts are streamed and of course, iTunes. Joe House and I link up in a very high-end, undisclosed location around Ponte Vedra Beach to recap the Wells Fargo Championship before previewing Players. I'm sure a few passers by thought we were on a stake out surveilling PGA Tour VP's for any new schedule tidbits we could dig up, but alas, it's just a ShackHouse on The Ringer Podcast Network. As always, the show is brought to you by Callaway, makes or Rogue woods and irons, the cool-looking new EXO putters by Odyssey and of course, the sensational new Mack Daddy 4 wedges. Check out there revitalized new website that makes customizing orders easier than ever. House is on his way here but we got down to the nitty gritty--some stats, some flora, some fauna and some prop bets! We make our picks, sift through some numbers you need to know and hopefully set up what could be an epic Masters. The iTunes option for this week's show. On this week's post-match play show we discuss the event, possible tweaks, and go through some pre-Masters scouting reports based on the week's play. We also preview the Houston Open, which is facing an uncertain future and almost certainly is being played for the last time as a pre-Masters tournament. The Art 19 option for listening but as you know by now I hope, the show is available wherever fine podcasts are streamed. And as always, the show is brought to you by Callaway, makers of Rogues, Chrome Softs and the best internet golf talk show on the planet, Callaway Live. House and I discuss the 2018 Arnold Palmer invitational just minutes after the round concluded and cover the gravity of Rory McIlroy's win, his comments on fan behavior, Tiger's strong week and House's Knock off the Rust tour where two winners are announced (and I need to hear from you guys!). 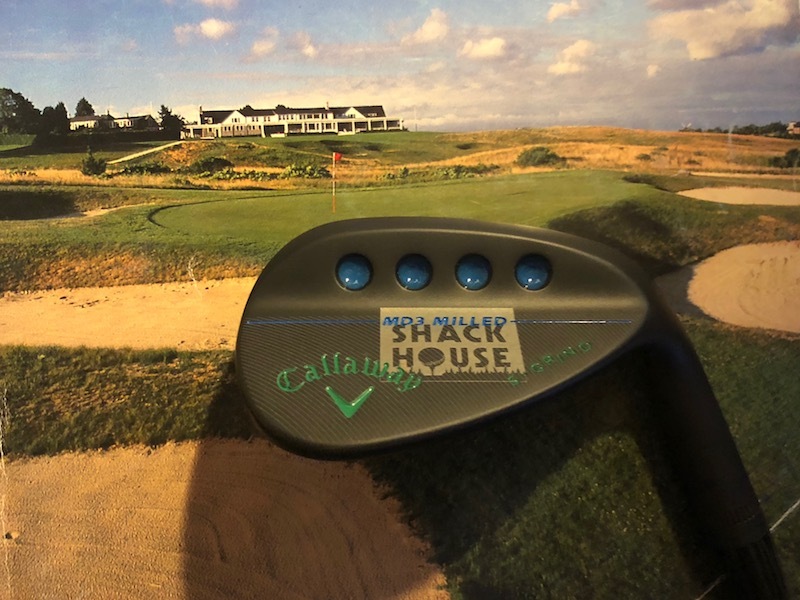 As always, ShackHouse is brought to you by Callaway, who rolled out new customization of Rogue drivers this week and on Tuesday, debut season four of Callaway Live with Apple executive Eddy Cue. We wrap up Tiger Woods' second place finish at the Valspar, Patrick Reed's 18th hole misery, preview the Arnold Palmer Invitational and welcome back Mike Tirico of NBC Sports (24:22). The Art19 listening link is here. The iTunes page is here. Episode 56 is here. As always, ShackHouse is brought to you by Callaway, sponsors of the Callaway FanBeat Challenge Presented by Golf Channel runs for two more weeks, so brush up on your Arnold Palmer trivia and sharpen those predictive skills! Here's the link if you haven't tried. Now, about the Knock Off The Rust contest discussed at the end of this week's show, just go post your totals as outlined at the show end, and the winners of each category are in for a Rogue Driver and Ogio bag courtesy of House! This week's show can be listened to here, or via your subscription wherever podcasts are streamed. On the latest ShackHouse, House and I discuss Phil Mickelson’s breakthrough win at the WGC-Mexico Championship (2:13), USGA’s new report on driving distances (17:21), and the news that Tiger Woods will play the Valspar Championship (28:20). And please don't bet my Patrick Cantlay pick, rescinded before the show taping ended, when I realized last year's second place finisher in the Valspar is not playing this week. As always our show is brought to you by Callaway coming off an extra special week with Rogue wins by geezers Phil Mickelson and Michelle Wie. Here is the embed, here is the iTunes page and of course, the show is available wherever you listen to fine podcasts. House and I convene on Sunday night to discuss Bubba Watson's win, the Genesis Open week for Tiger and what to look for in his game at this week's Honda Classic. As always the show is brought to you by Callaway and the new family of Rogue's, in stores now, as is the newest Chrome Soft that landed on shelves late last week. Here is the Callaway Create team's short and very enlightening video on how Chrome Soft's are made in the USA referenced at the top can be viewed here. The iTunes page for ShackHouse. This and other episodes are here.